The “Blog” of “Unnecessary” Quotation Marks: "sorry"
I guess they aren't really sorry. Thanks, Marisa. 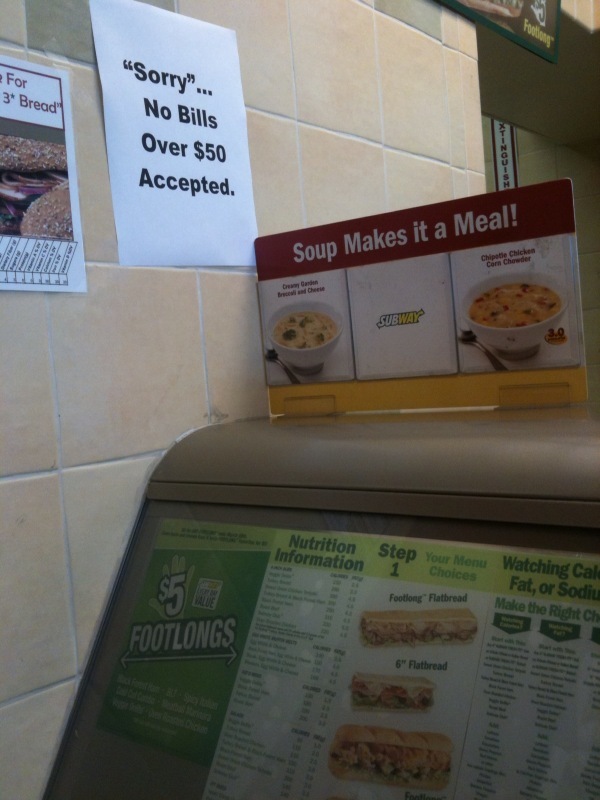 They may have put the unnecessaary quote marks in, but at least the did put in the necessary $, otherwise it would read: no Bills over 50 accepted.